I don't know what it is about margaritas, but they are by my far my favorite drink to sip on during the warmer months. Ever since I can remember, my parents have had a blood orange tree in their back yard, and without fail, every year my mom begs me to take some of her oranges. 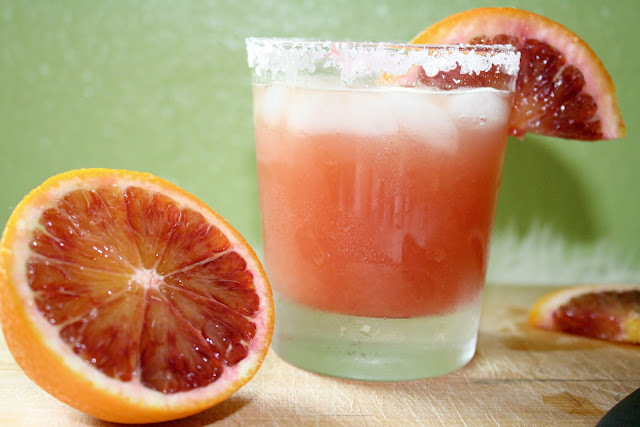 This year, I decided to put my mother's oranges to good use and tried this blood orange margarita recipe. 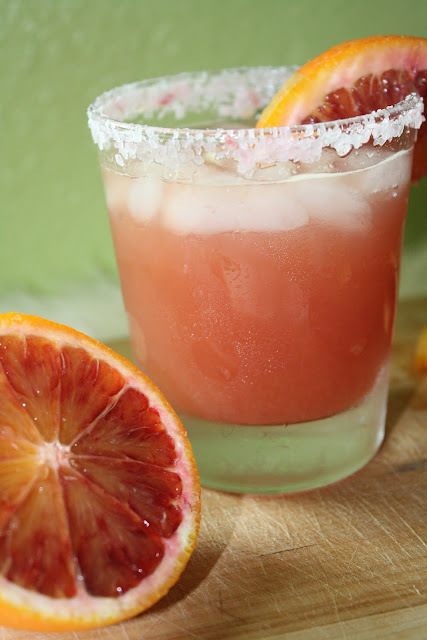 It was refreshing and delicious and if I'm guessing correctly just what you will need to get through those Monday blues! Rub rims of two glasses with lime wedge. Pour sugar onto a plate and spread out evenly. Dip rims of glasses into sugar until evenly coated. Add all ingredients to a shaker, and shake well to mix well. Fill glasses with ice. Pour margarita into the glasses.